Following India’s meteoric rise to crack the top 100 in the World Bank’s Ease of Doing Business report, the country’s startup community is confident of attracting more foreign investments across sectors and emerging as a highly preferred investment destination in the region. The report gauges the performance of countries in ten areas: Starting a business; dealing with construction permits; obtaining electricity; registering property; obtaining bank credit; protecting minority investors; tax payments; trading across borders; enforcing contracts; and resolving insolvency. This year, India has improved its performance in six of those areas — specifically, there’s been a marked improvement in getting an electricity connection to start a new business, resolving insolvency, obtaining bank credit and tax reforms. It’s widely known that several major e-commerce companies, as well as product startups, are registered overseas, mainly to draw capital and avoid institutional delays to run a business. Many Indian startups are registered in destinations like Singapore, Dubai, USA and some European countries, while they thrive in India. However, in the past couple of years, the Indian government has been actively addressing these issues by introducing several economic reforms. Bala Nadar, founder of Startupwala, provides a host of legal and compliance services for startups that include company registration, trademark protection and copyright, among others. He explained that previously it would have taken around 30 days just to incorporate a company but now that time has reduced to five or six days. Government approval for incorporation used to take 15-20 days but now takes around a day or two at most. “The business environment has improved significantly in the past two years. Easy registration of companies and new businesses is the first step to develop a thriving startup environment,” he said. Nadar said around 150,000 corporate entities get incorporated in India every year. The number of businesses launching in India is growing and there is an urgent need to include them into the formal corporate structure. By doing so, the value of India’s corporate ecosystem will improve and will position the country as a preferred investment destination. While the celebratory mode is on for India’s young entrepreneurs, there is still a long way to go for the ecosystem. Gandhi said: “Startups are not sitting in a vacuum. We’re doing business with everyone and processes to work with players across the ecosystem should be made easier.” The big win is the reform in the contracting and bankruptcy code, which will lead to better payment recoveries and smoother cash flows for young businesses such as SMEs and startups. Mehta observes that while it has become easier for a business to launch in India, it is quite challenging to close it down. “It takes up to two or three years to wind down operations as a founder has to shut bank accounts, complete legal formalities of closure and settle company balance sheets. This holds back startup founders to pursue other opportunities.” He also hopes for easier ways to raise capital in India, such as priority sector lending. While talent and resources are in abundance in India, several institutional liabilities have deemed it challenging to do business in, and kept investors at bay. But things are changing now, and the latest improvement in the World Bank rankings proves that. 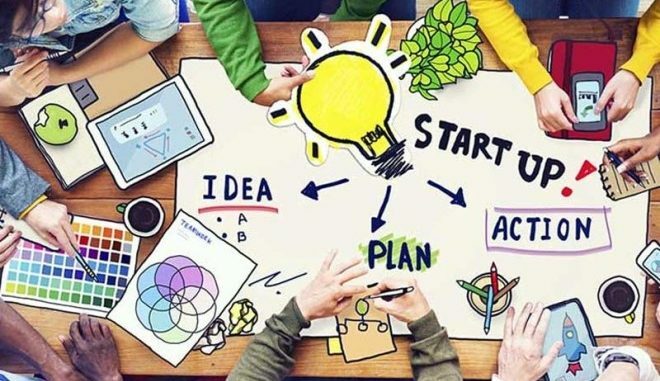 Entrepreneurs, on one hand, believe a lot of good work has been done so far but a few more changes and reforms along the way will elevate the country’s position as a startup hub and economic power in the years to come.